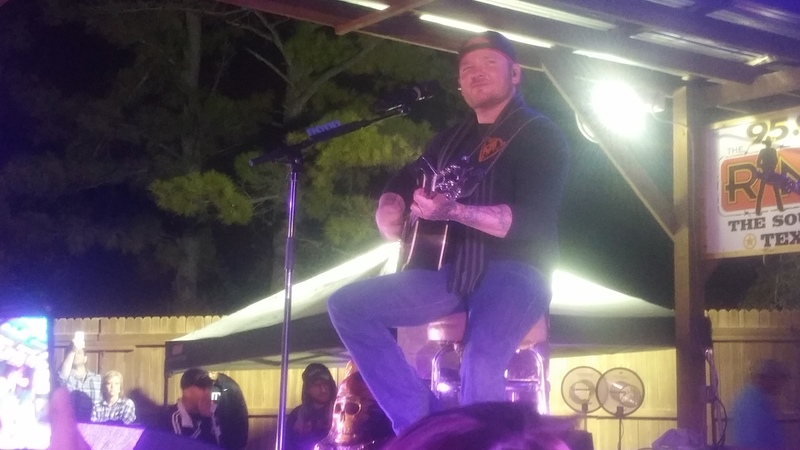 Stoney LaRue, a country singer-songwriter and native Texan, who has sold more than half a million albums and performed at the Grand Ole Opry last year, is a huge name in the country red dirt musical community and will be making many live appearances in Texas this year while touring the new album. The new album, which released on Oct 16, is a dedication to his loyal fans and the connection they have made over his 18 years of touring. LaRue, who is popular for playing in college towns and small town bars, like Turkey Creek, in Texas and Oklahoma, is a huge draw in the college arena. Larue got his big break at a bar one night when he was a student at Oklahoma State University in Still Water Oklahoma. 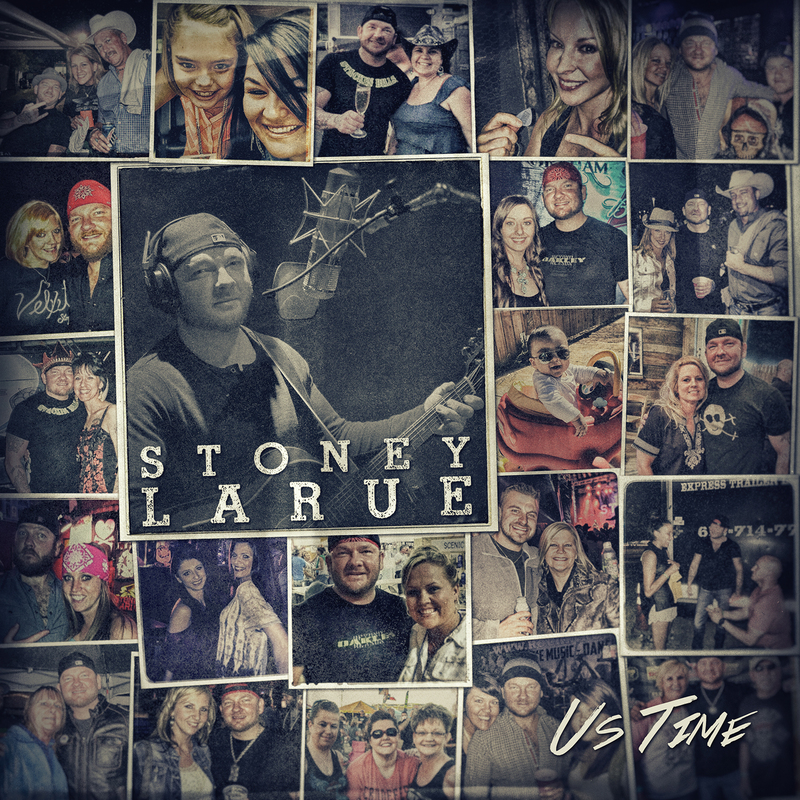 LaRue performed what he calls his, “fans favorite live songs” from his new album Us Time on Oct. 28, at Turkey Creek Bar and Grill in Alvarado, hosted by 95.9 The Ranch and 93.3 Hank FM. The concert was no doubt a red dirt performance, the stage was set up outside the bar located in the middle of nowhere and people brought their own lawn chairs and blankets. The grassy parking lot, which was actually a field, was full of pickup trucks and cars, it looked as if the whole town had shown up for the once in a lifetime performance. He opened with his new song, Us Time, which made the crowd go crazy. He made sure not to let his fans down and played every song on the album during his 2-hour performance. LaRue, took the crowed through time by playing some of his most popular songs such as, Feet don’t touch the ground, Box #10 and Train to Birmingham, from his older albums. LaRue said he gets his musical inspiration from everybody and everything around him when he is in the creative process. LaRue performed Van Morrison’s Into the Mystic, Gary Stewart’s Empty Glass and Wichita Lineman and put his own personal spin on it. Toward the end of the show, LaRue played his most popular song from one of his first albums, Oklahoma Breakdown, the familiar tune got the crowed screaming and dancing. Several happy fans lined up near the tour bus to say hi to the artist after the show. LaRue seemed to take pride in meeting his fans, taking photos and signing memorabilia at the merchandise table. LaRue’s concerts are always fun and exciting and he is a great artist to hear live. His voice was awesome and his songs are true Texas country. LaRue said he landed his dream job. It feels like I am living in a movie or a really good storybook,” he said. LaRue will be in Fort Worth on March 19 at Billy Bobs Texas.